Cristiano Ronaldo eyeing a reunion with a key duo. According to the reputed Italian outlet, CalcioMercato, Juventus forward Cristiano Ronaldo wants the Bianconeri to make a double signing, allowing the star to reunite with his former teammate Marcelo and compatriot Bruno Alves. The 33-year-old winger moved to Juventus last summer after spending nine seasons with La Liga giants Real Madrid. 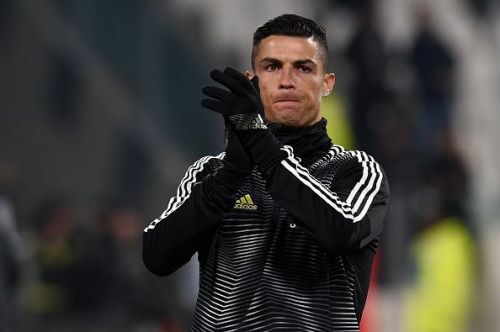 The five-time Ballon d'Or winner has settled well in the Italian league and is currently the joint-top-scorer with 14 goals and 5 assists registered to his name in Serie A. Six months into his debut season with the Italian giants, the Portuguese has already justified every penny of 100 million spent by the Bianconeri to secure his services. Juventus are nine points clear at the top of the league table, having a brilliant campaign in Copa Italia and the Champions League after already securing the Supercoppa Italiana, where the Portuguese himself scored the match-decider. During his long spell with the Los Blancos, Ronaldo teamed up with Marcelo on the left flank, and the duo was known for their understanding and exceptional offensive skills. The Brazilian was often found on the final third of the pitch, dribbling past the opposition to set up the Portuguese. It is safe to say that the Brazilian left-back enhanced Ronaldo's gameplay and his statistics as well. On the other hand, Bruno Alves, who is an experienced defender, would be the potential replacement for Medhi Benatia, who might be on his way out of the Serie A next summer. Considering the Benatia situation, Bruno Alves' transfer seems more reasonable. On the other hand, Marcelo would be difficult to lure to a reunion with his best friend on the pitch. The Brazilian might be ending his career at the Bernabeu, as he has wished many times. But it remains to be seen what happens in the future. Juventus are on the course of their eighth consecutive Serie A triumph. The Italian giants would also hope to win the UEFA Champions League this term. With the only obstacle in their previous two UCL campaigns sailing by their side, the Bianconeri are one of the top contenders to win the European tournament. Juventus will be facing Ronaldo's former local-rivals Atletico Madrid in the round of 16 ties next month.